I inherited these teacups from a great aunt a few years ago. I love teacups but of course using mugs is much more convenient (plus, it gives you a chance to warm your hands up by wrapping them around the mug- which just isn’t done when drinking out of a teacup)! So, what to do with those old teacups? Turn them into candle holders! I bought a bag of wax (only £3 via Amazon!) 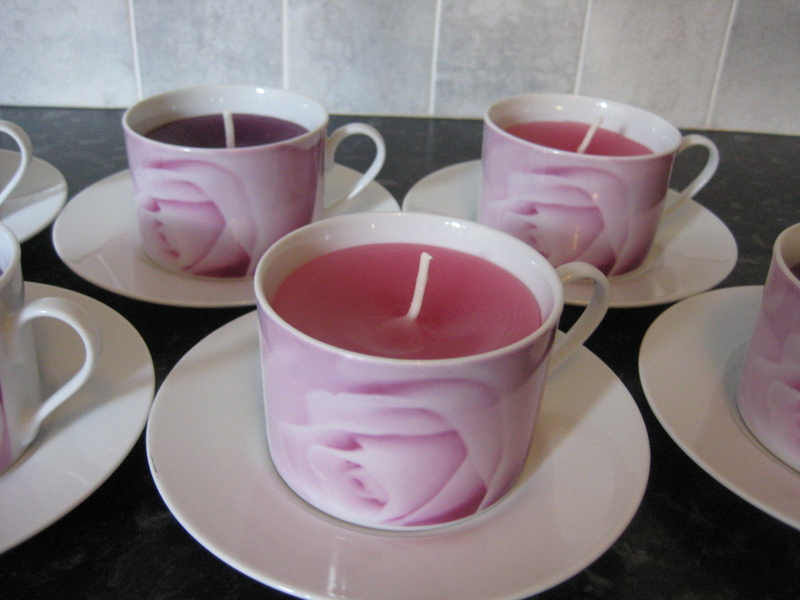 and used up the ends of a few old candles. 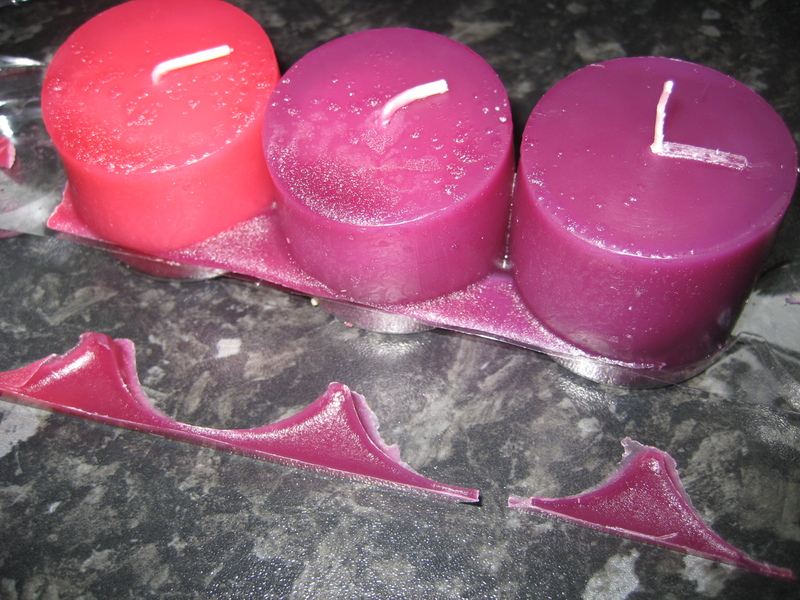 Recently I had picked up some really cheap coloured candles from Ikea, but made the error of leaving them in the window where they melted in the sunlight! Disaster! 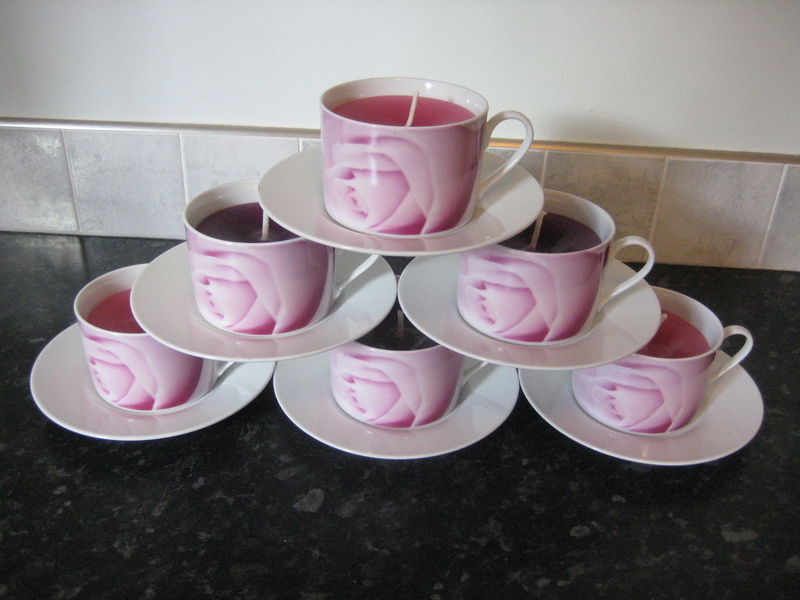 But then I realised I could just add them to my teacup candles to make them coloured. Waste not, want not after all! 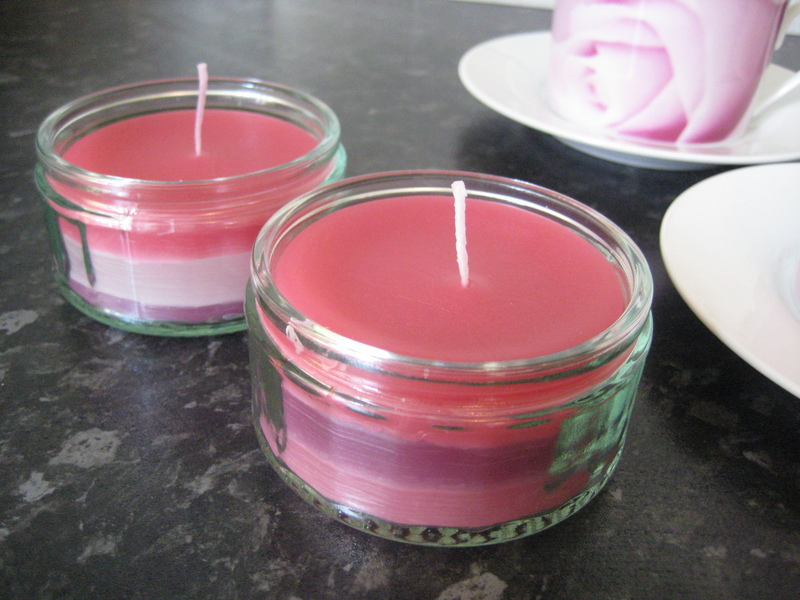 Speaking of recycling I also had a couple of glass dishes lying around (left over from everyone’s favourite store bought chocolate soufflés) so I was able to use up the left over bits of each colour up in these- cue stripy candles! I am thoroughly enjoying seeing your creative days. I am also a little jealous that my days don’t have that sort of time in them… oh and that I am not that creative.